Constance R. Sutton, a significant figure in Caribbean studies and feminist anthropology, died in New York City on August 23, 2018. She was 92. Sutton was a pioneer in theorizing transnational migration and a political activist around issues of racial and gender justice, working in support of women’s collective action internationally. Her anthropological analysis of black Barbadian sugar cane workers as actors on a world stage was path-breaking. She was also known for her comparative research on gender and power in the Caribbean and West Africa, where she did research among Yoruba in Nigeria. Among her significant publications are Caribbean Life in New York City: Sociocultural Dimensions (co-edited with Elsa Chaney, 1987); From Labrador to Samoa: The Theory and Practice of Eleanor B. Leacock (1993); Feminism, Nationalism, and Militarism (1995); and Revisiting Caribbean Labour: Essays in Honor of O. Nigel Bolland (2005). At the time of her death, Sutton and her husband, anthropologist Antonio Lauria-Perricelli, were working on a volume that would situate several of her unpublished papers on Barbados in the context of important socioeconomic and political developments in the mid- to late-twentieth century Caribbean. He and other colleagues will continue this work. Sutton taught, wrote about, and contributed to women’s collective action internationally. She was a founder of the New York Women’s Anthropology Caucus in the 1970s and of the International Women’s Anthropology Conference in the 1980s. She was consultant to several Women and Development NGOs in the Eastern and Southern Caribbean. Her awards included “Women Who Make a Difference” recognition from the National Council for Research on Women, a Golden Dozen Excellence Award for Teaching from New York University, and the Great Teacher Award of the NYU Alumni Federation. Born in Minneapolis, Minnesota on January 29, 1926, Sutton grew up in Chicago. She received a Bachelor of Philosophy (1946) and an MA (1954) in anthropology from the University of Chicago, and a PhD in anthropology from Columbia University (1969). She taught and fostered generations of anthropologists as a member of the NYU Department of Anthropology. 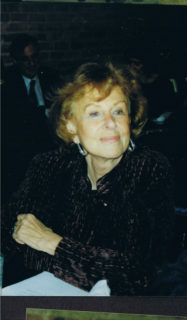 She served as the first woman chair of NYU’s Department at the University Heights campus from 1971 to 1973 and as a professor at the Washington Square Department from 1971 until her retirement in 2002. Her visiting appointments included the University of the West Indies; University of Ife, Nigeria; University of Ibadan, Nigeria; Ithaka Collegiate Program, Greece; and the Fulbright Program in India. As an undergraduate student at NYU, I took Prof. Sutton’s class in Caribbean anthropology in 1973. I did not know it at the time, since I was intent on being an archaeologist, but it had a lasting and transformative effect on my career. As she did for so many other students, Sutton woke me up to the anthropology of politics and gender (and the gendering and politics of anthropology).